1. Our church Bluewater Mission is bringing transformation in Honolulu through its justice restaurant, and I feel inspired by what’s happening in our faith community. 2. Giving instructions to my kids is easy. The hard, long work is coaching and empowering them in their development. 3. Curry udon. It’s a thing. And it’s delicious. 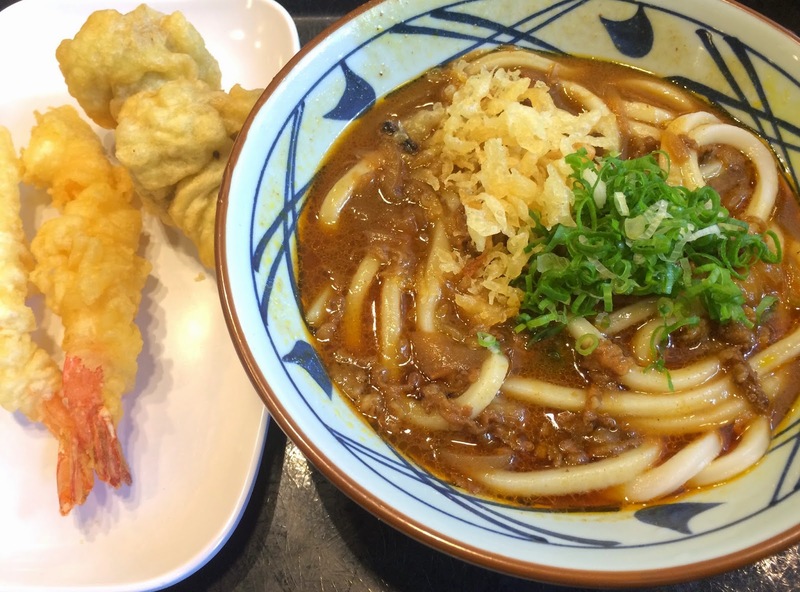 This meal was enjoyed at Marukame Udon in Waikiki. 4. I have no guilt if I need to put aside a book that isn’t compelling. There have been multiple highly-recommended books that I just couldn’t connect with. So back to the library they go. Who has the time to waste on lukewarm reading experiences? Not me. 5. If you try basting your hot waffle iron with butter, your basting brush may melt. 6. There is really no predicting the timing of our babies’ births. Aaron was born the day after his due date. Alex arrived 3 weeks early. And this baby girl…well, we’ll see. She is due in three days, but who knows. 7. This handbag organizer is awesome. For anyone who uses totes or other large bags, this is a truly helpful item to keep stuff organized. No more digging for lost keys in the abyss of your purse! 8. I’ve been storing cheese all wrong. According to this Lifehacker article, you’re supposed to wrap cheese in wax paper and then a layer of plastic wrap. Apparently putting it in a plastic zip-top bag, as I’ve always done, is the worst. Whoops. 9. I like television dramas way more than sitcoms. After watching shows like Breaking Bad, House of Cards, and Scandal, sitcoms are really difficult for me to get into. 10. I’d rather live a life that messes with the status quo than maintain social acceptability. What about you? What have you been learning? Good point! Cheese doesn't last very long at our house either.